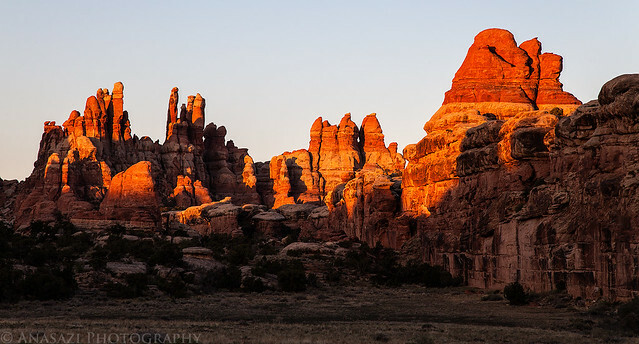 I woke up just early enough to catch the sunset on some of the surrounding needles from the Devil’s Pocket. 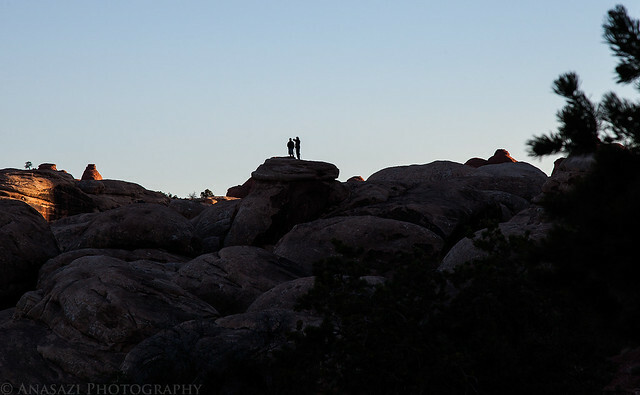 As I was hiking back towards camp, I caught Jared up on top of some rocks at the Devil’s Kitchen. 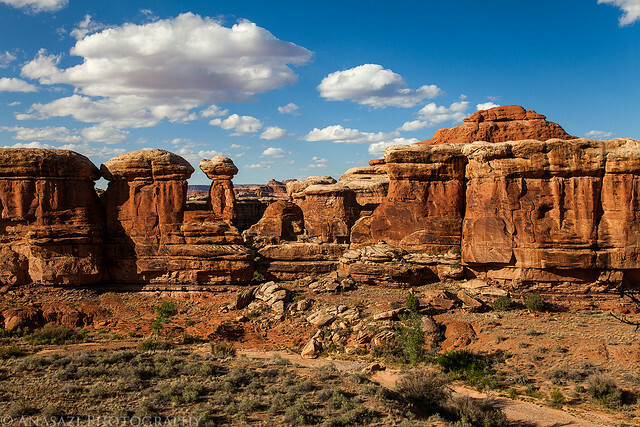 Once the sun was up I returned to camp for some breakfast and then did some exploring of the outskirts of Devil’s Pocket with Jared and his brother. When we got back from our morning hike, we packed up camp and then started the drive back out through Devil’s Lane. On the way back we took the side trip to the Confluence Overlook. 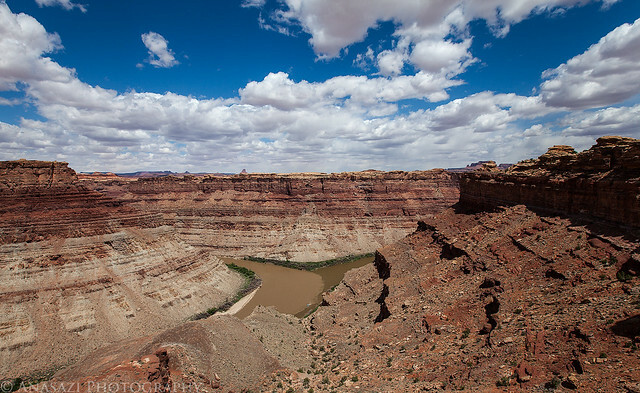 I love the look of the two different colored river’s meeting here. Soon we were driving back over Elephant Hill. 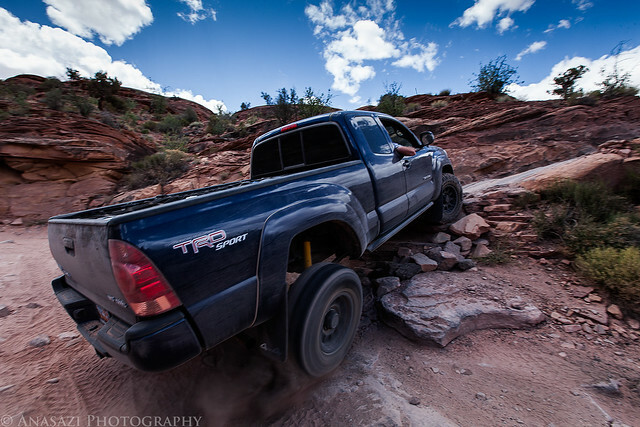 The Tacoma had a little trouble getting up this tight switchback, but after a little maneuvering he was able to get up. After we finished the drive over Elephant Hill, we stopped at the Visitor’s Center to check on the status of the road out to Peekaboo. As I had figured, it was still closed. Since we had permits to camp there, we decided to backpack in. 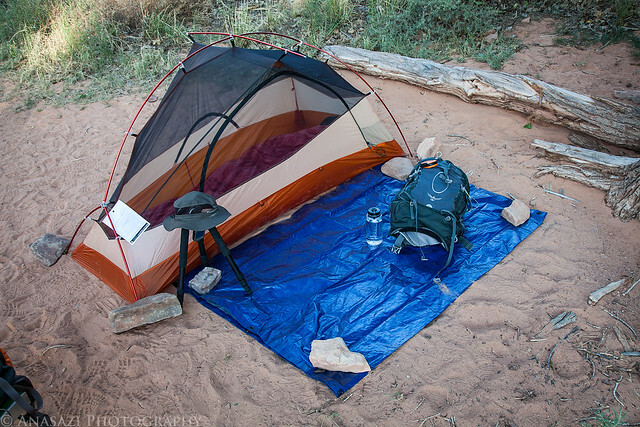 After a few miles of hiking through the sand and avoiding mosquitoes, we finally reached Peekaboo and setup camp. We knew we would have the place to ourselves since our group had permits for both campsites located there. Once camp was setup we visited the nearby pictographs. 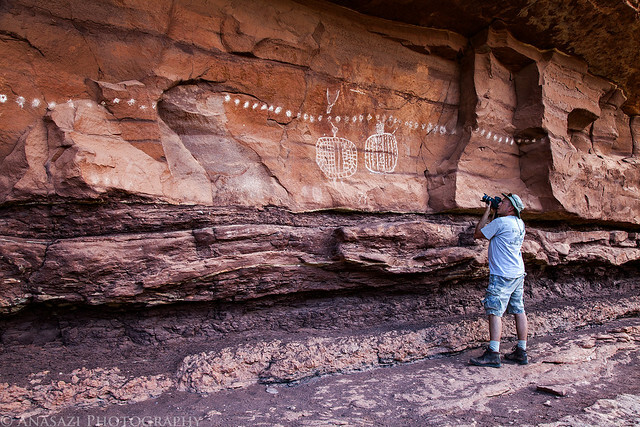 We also went searching to see if we could find any new rock art sites that I had missed previously. We followed a trail up a steep and loose slope to an interesting slot and cavern…but no rock art. There was a nice view from up there, though. 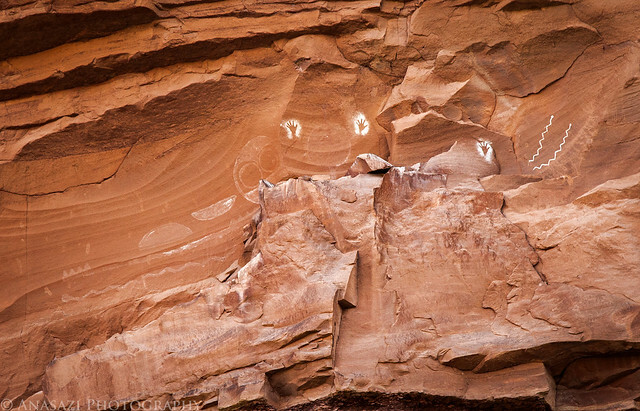 I did manage to spot this very interesting pictograph panel high above the canyon floor. It was very cool and I’m really surprised that I had missed it before. Jared and I tried to find a way up to it, but we could not. 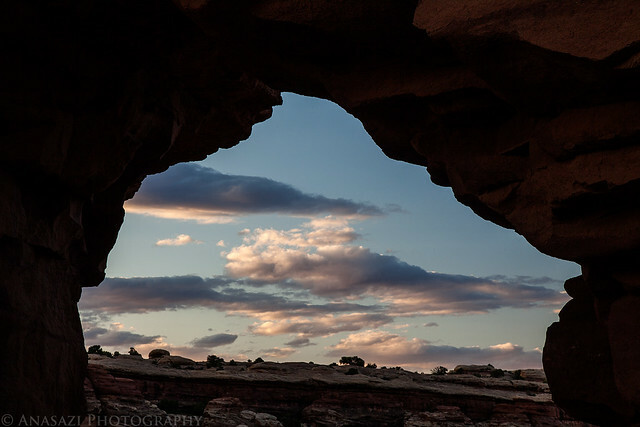 The sun lights of a few clouds as it sets through Trail Arch. With the sunlight almost gone, I played around with a few longer exposures and the zoom on my lens. 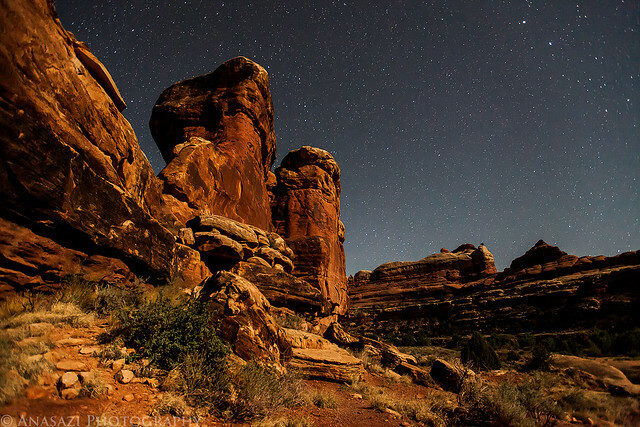 After some dinner and when it was finally dark enough, we walked up near Trail Arch to try a few more night shots. 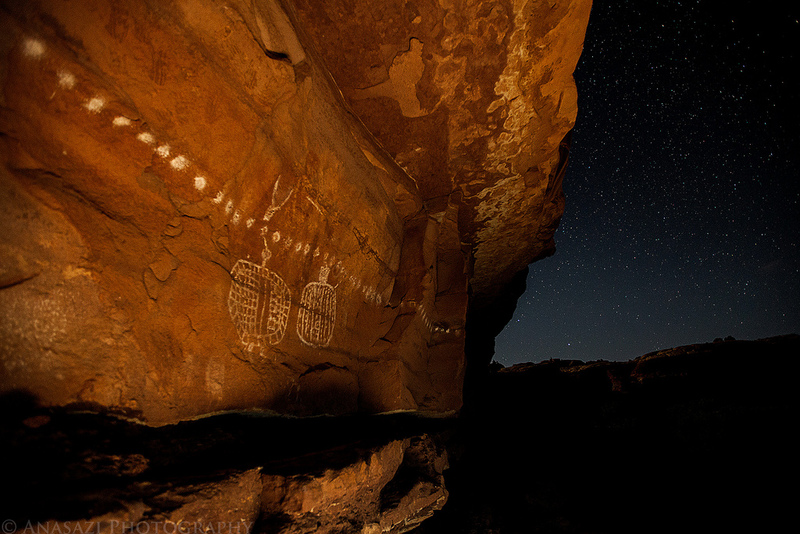 The Peekaboo Pictograph Panel under the night sky. 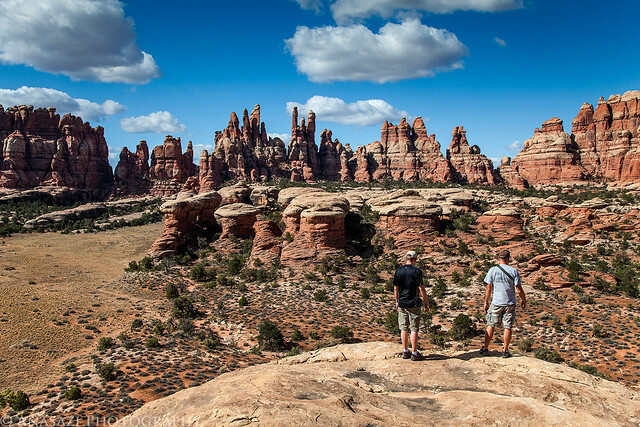 It was another good day of exploring in The Needles, and I even managed to get in my second backpacking trip! Great photos. Any info you might share regarding exposure, f-stop, etcetera on the starry photos? 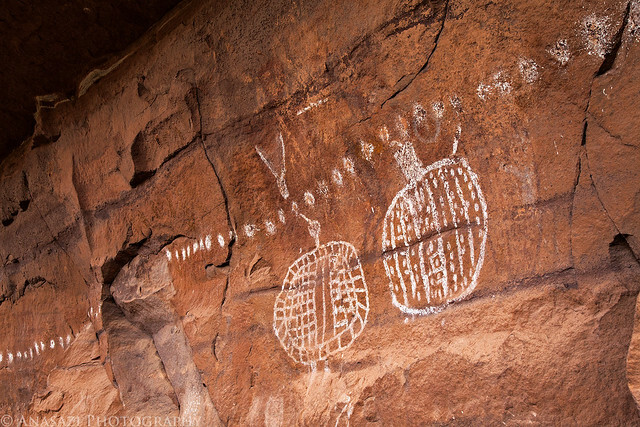 Sure, the photo with the pictographs and stars was 20 seconds, f2.8 at ISO 3200. 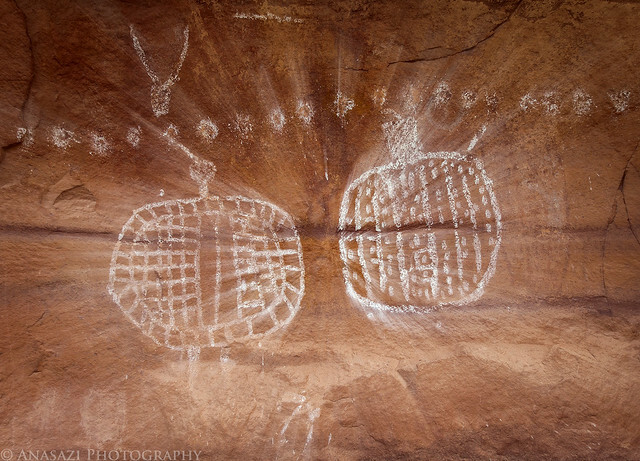 I did a little light painting on the pictographs with my headlamp.